Five strangers are forced to re-examine their life choices after finding themselves stranded at a mysterious, isolated diner with a man who somehow has all of the answers to their most pressing problems. From the callous businessman (Steve “Sting” Borden) to the unhappily married couple, the desperate runaway, and the solitary woman, each of these lost souls faces an existential dilemma that has thrown their lives into chaos. But the proprietor of the restaurant, a man called himself Jesus (Bruce Marchiano), possesses the secret to freeing them all from an eternity of suffering, if they could only see outside of themselves long enough to understand just what’s at stake. First of all I find it unsettling that there are some who attack people’s ratings of this movie because of a failure to meet a cinematic standard they want to see in a movie or others beliefs as Christians. We’re suppose to rate the movie, not peoples ratings or their beliefs. This is a low budget film, of course it’s not going to be on the same level as a major Hollywood blockbuster. But what it lacks in that is made up in the content of the film. The actors chosen for this film are perfect for their roles. What I enjoyed about The Encounter is the reality of Jesus who knows everybody and how he intervenes and reaches out even when they don’t know he is there. The concept of meeting him at a diner I found to be brilliant, making him personable and real. It’s put a fresh new perspective of him in my life and how simple it is to reach out back to him. 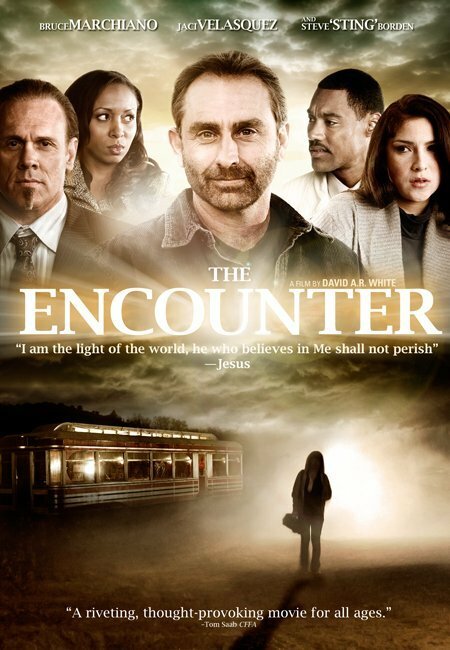 This is a different Christian movie than most others and really refreshing. It really showed the reality of the choices we are faced with and the consequences, both good and bad of those choices, and the constant battle between good and evil. If you’re a Christian, you’ll love this movie, if you’re not, it’s definitely worth giving it a chance because believe it or not, this movie shows a real side of Jesus you won’t find anywhere else. It succeeds in showing how real and approachable Jesus really is. There are much worse things you could waste your time watching.